Captain Roberts and his crew are at the end of their resources. The Alliance have confiscated everything of value and conscripted most of his crew. They are being taxed again. There is no way he and his crew could make enough credits to satisfy the Alliance, and they know it. They are watching him, making sure he can't escape. The next time the Alliance boards his ship will be his last. He needs to find a way to escape the Alliance, and cross the border into the Collation of Free Worlds. He and his crew would become exiles. It didn't matter. He had no intention of returning to Alliance territory. It was up to Nathaniel Roberts to restore their family wealth and get revenge against the Alliance for what they did to his friends and family. Captain Roberts was unaware that the Alliance was breaking a century-old treaty in preparation for war. The Alliance wasn't alone; they formed a pact with the Crimson Tide, a pirate organization. Captain Roberts wouldn't be facing one enemy; he would be facing two. He would have to fight both of them while trying to make a new home for his crew. 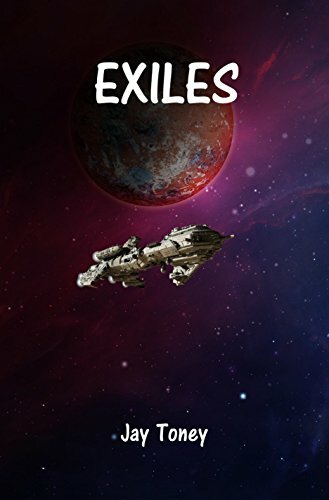 Buy Exiles by Jay Toney on Amazon!